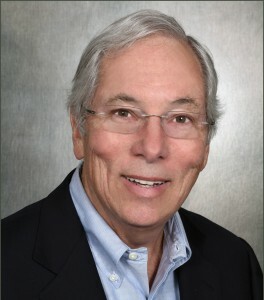 Blair Hull founded Hull Investments, LLC in 1999 and currently serves as the firm’s Chairman. Hull Investments was created to serve as a family office for three generations of the Hull family, and acts as parent company to a number of financial entities. Mr. Hull created Hull Tactical Asset Allocation, LLC, a registered investment advisor, in 2013. HTAA operates an actively managed ETF and utilizes advanced algorithms as well as macro and technical indicators to anticipate future market returns. Prior to launching Hull Tactical Asset Allocation, LLC, Mr. Hull was the founder of Hull Trading Company and served as that firm’s Chairman and Chief Executive Officer. A global leader in the application of computer technology to listed derivatives trading, Hull Trading leveraged technological innovations and quantitative models to become one of the world’s premier market-making firms, trading on 28 exchanges in nine countries. At its peak, Hull Trading Company moved nearly a quarter of the entire daily market volume on some markets, executed over 7% of the index options traded in the United States, 3% of the equity options, and 1% of all shares traded daily on the New York Stock Exchange. Mr. Hull has worked in the trading industry for nearly 40 years. Trader Monthly recognized him for having executed one of “The 40 Greatest Trades of All Time,” and Worth Magazine named him one of “Wall Street’s 25 Smartest Players.” In 2014, he was awarded the Joseph W. Sullivan Options Industry Achievement Award from the Options Industry Council in recognition of his outstanding lifetime contributions to the growth and integrity of the U.S. options market. 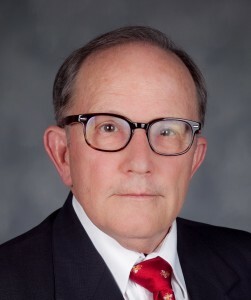 Warren Langley is a member of the Board of Directors for Hull Investments, LLC. Warren previously served as a Principal and Chief Operating Officer of Hull Trading in Chicago, a proprietary derivatives trading firm with operations in the U.S., Europe, and Asia. He went on to become the President and Chief Operating Officer of the Pacific Exchange in San Francisco; a position he held from 1996-1999. The former Managing Principal of the GuruWizard Fund, LLC, an early-stage venture fund, Warren continues to act as a consultant and private investor with interests in trading and market structure in electronic markets and the strategic use of technology in shaping businesses and e-commerce. Warren Langley is a graduate of the United States Air Force Academy, and has served as Adjunct Professor at the Presidio School of Management teaching Capital Markets to MBA students. He received his MA in Astronautical Engineering from the Massachusetts Institute of Technology, and his Ph.D. in Operations Research from the Georgia Institute of Technology. Steve Crutchfield is Vice President and Head of Options Markets, Exchange-Traded Products, and Bonds at the New York Stock Exchange (an Intercontinental Exchange company), where his responsibilities include oversight of the NYSE Amex and NYSE Arca options exchanges and the NYSE Global Index Group. Mr. Crutchfield is also CEO and a member of the Board of Directors of NYSE Amex Options LLC, and sat on the Board of Directors of the Options Clearing Corporation from 2012 to 2014. Previously, Mr. Crutchfield was Chief Operating Officer at Matlock Capital LLC, where he supervised all trading, quantitative research, and systems work from 2004 through 2009. Matlock, a proprietary trading firm based in Chicago, executed fully-automated options, equities, and futures strategies with an emphasis on market making, volatility forecasting, and statistical arbitrage. Prior to joining Matlock, Mr. Crutchfield was Managing Director of the Research and Development group at Botta Capital Management. At Botta, he oversaw the development of trading models and technology. Before this, he launched and directed Botta’s off-floor options trading desk and its equity risk arbitrage business. Mr. Crutchfield holds an MBA in Econometrics and Analytic Finance from the University of Chicago Booth School of Business, an MS in Computer Science from Stanford University, and a BS in Electrical Engineering from the Johns Hopkins University. He was named one of the Crain’s New York Business “40 Under Forty” in 2012. Mr. Crutchfield lives in Manhattan. Mr. Crutchfield is a Board member of the Hull Investments, LLC, a family office that serves three generations of the Hull family, and is not involved in management or decision making at HTAA, LLC. 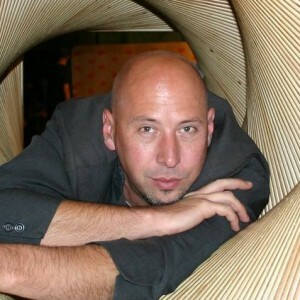 Jeffrey Hull is the CEO of Nonchalance, a situational design studio in San Francisco, CA. His pioneering work on the Jejune Institute project earned international awards and accolades and is now the subject of a feature documentary film (The Institute). He is also the founder of Oaklandish, named as Fortune Magazine's Inner City 100, and California's Small Business of the Year. Rick Anderson joined Hull Investments, LLC in 1999 and serves as the organization’s Chief Investment Officer, advising on strategic asset allocation and the collaborative development of profitable, shorter-term trading models. 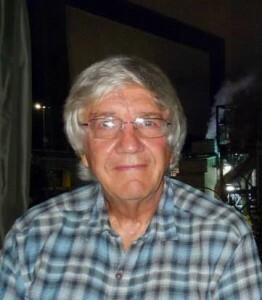 Rick began his career in finance as a securities analyst at The Value Line Investment Survey, one of the first firms to use statistical techniques for stock selection. While there, he became an editor and then portfolio manager of the flagship Value Line Fund and Value Line Income Fund. He was instrumental in developing the Strategic Asset Management Trust, Value Line’s first mutual fund to use stock and bond market forecasts to drive the asset allocation process. Rick went on to serve as managing director of Rothschild Asset Management, the New York affiliate of the French and British Rothschild Group. There he ran equity, balanced and fixed income portfolios for corporations and high net worth individuals, while also conducting research on computer driven stock selection models and forecasting financial markets. Rick’s continued interest and research on financial markets with an emphasis on asset allocation eventually led him to author a book about forecasting called Market Timing Models, published in October 1996 by Irwin Professional Publishing. Rick received his MBA in Finance from New York University and his B.A. with Honors from the University of California at San Diego. Rick is a member of the management team of Hull Investments, LLC, a family office that serves three generations of the Hull family, and is not involved in management or decision making at HTAA, LLC.